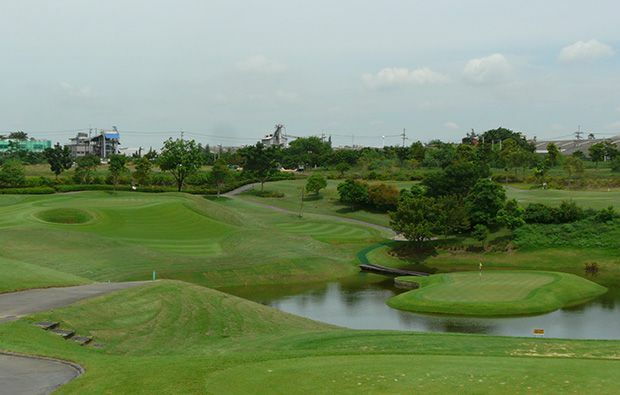 The countryside in and around Bangkok is pretty featureless so most of the Bangkok golf courses are usually quite flat but Riverdale Golf Club has been carved out of an undulating piece of real estate which requires you to play from raised tees boxes onto valley-like fairways. 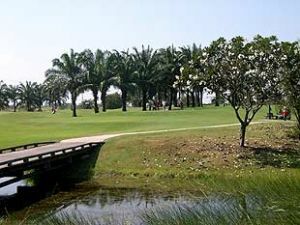 The designers have made clever use of the natural grasses and waste areas which ring many of the holes and they have also left some wetland areas in order to create habitats for the local wildlife. 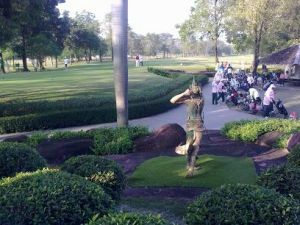 The course has a choice of four different men’s tee boxes so most players will find one appropriate to their handicap. The course requires you to play quite strategically and the designers continually challenge and tempt you with their risk and reward opportunities. 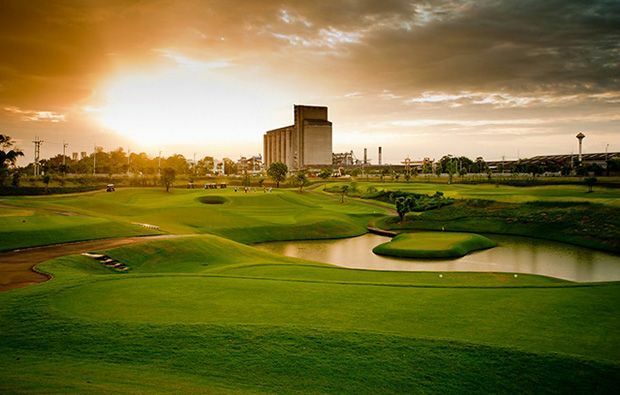 The course is slightly blighted by the ugly surroundings with factories adjacent to the course and large electrical pylons criss-crossing parts of the course. 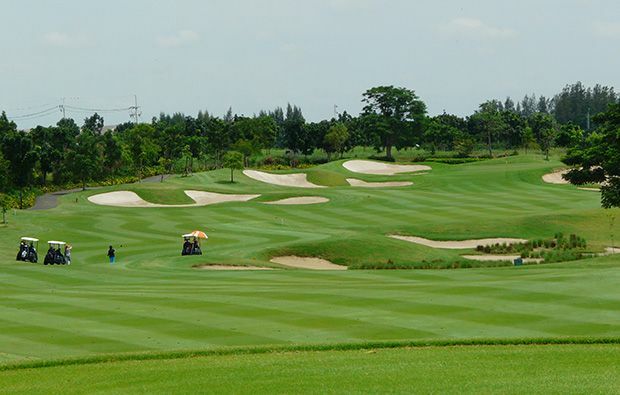 The front nine has three very exciting holes to conclude your round starting with the medium length 7th which is a dogleg par-4 with a blind tee shot followed by a difficult approach shot to quite a small and well-protected green. Next is the 8th which is also the signature hole and is a very unusual par-3 which unusually offers a choice of two greens. One of these is a tiny island green and the other requires a longer shot and is well protected by run-off areas and bunkers. The 9th has a lake protecting he right side of the fairway and several more bunkers either side of the green. 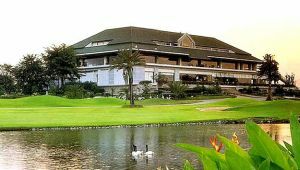 Riverdale Golf Club has a modern and contemporary club house with a very good restaurant serving excellent Thai, Chinese, European and Japanese food. 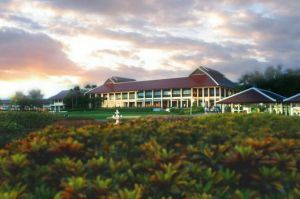 A very conveniently located course which is very close to the domestic airport of Dom Mueang if you you are visiting other parts of Thailand. 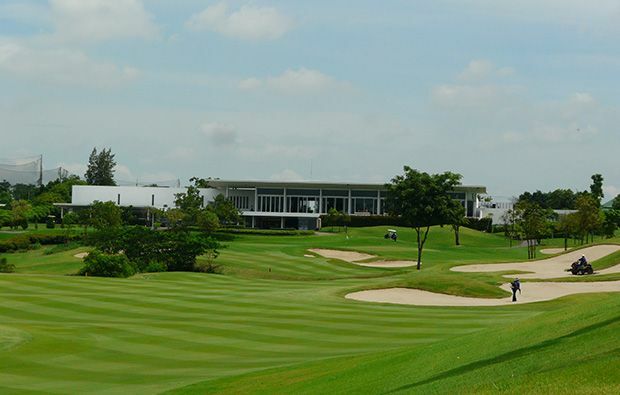 Being quite close the centre of Bangkok this is a very popular course so we recommend that at weekends you book in advance to ensure you secure your chosen tee time. Riverdale Golf Club has different Services to offer. Choose a date and number or players to see the rates.